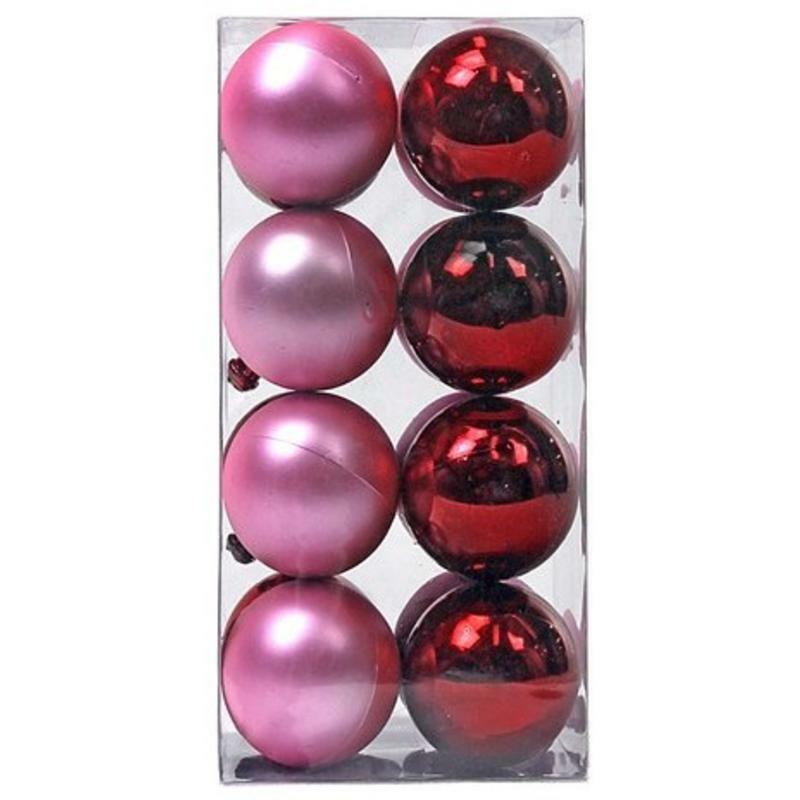 This package of 40mm Rose Baubles contains 16 shatterproof ornaments in a soft hue of rose- included are eight each of a soft, matte style and a shiny, chrome-style. The package is clear to display the beautiful baubles, and measures around 8cm wide by 16cm in height. Top this clear package with a simple ribbon or bow and it is a gift that will please many on your holiday shopping list. The two finishes of these unique Christmas Decorations will bring depth and dimension to your home. Hang them on a tree from their silver-tone fixtures or secure them to a green wreath for your front door. These are beautiful and would be a great option for outdoor decorating, too. Since they are shatterproof, they won’t break if they are subjected to the elements. Fill a basket with sprigs of pine or cedar, and add these for a dramatic display that looks warm and welcoming on the hearth or by the entry to your home.